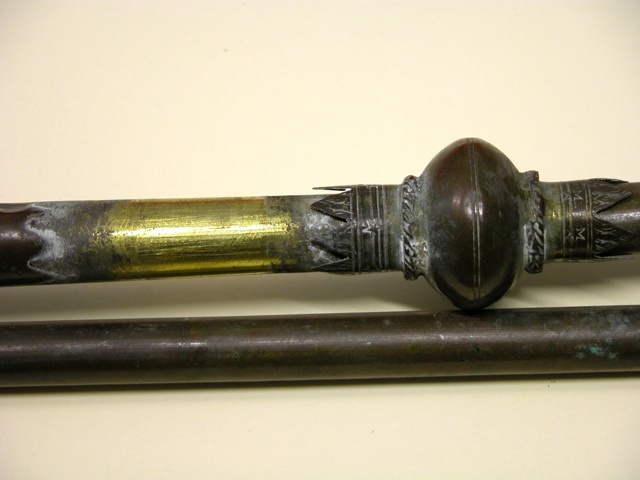 All parts of the original, with the exception of the mouthpiece, are present and apparently original. 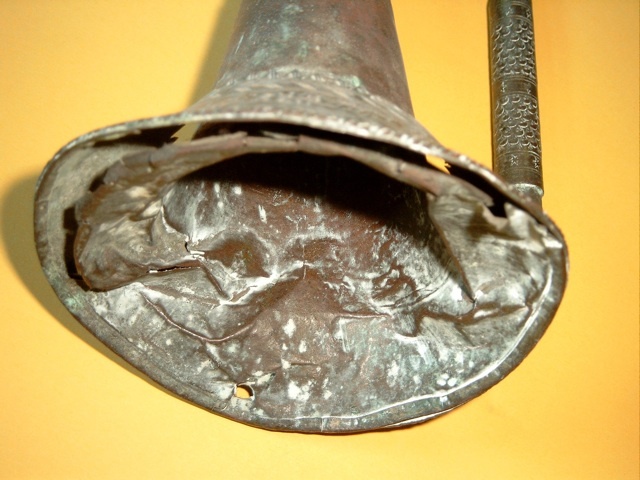 The surface of the trumpet is badly corroded and tarnished to a brown color, the bell has been deformed, and the garland is partially unattached from the bell. 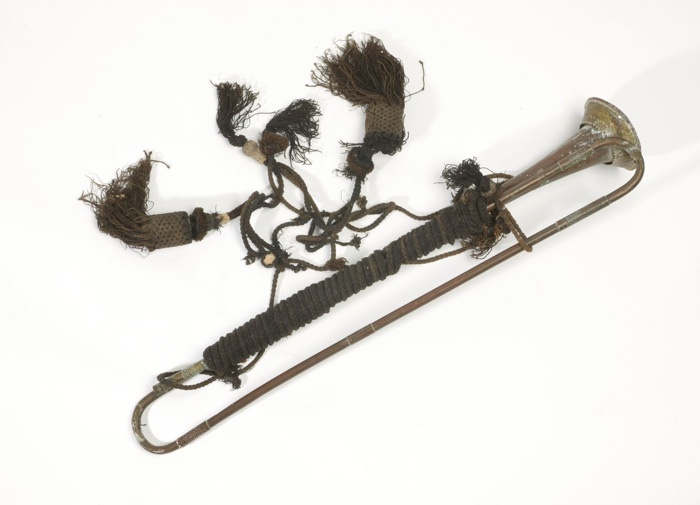 The cord is brown to black colored, the wooden balls in the knotted tassels have been partially damaged by worms. 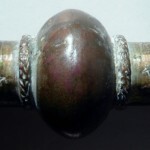 One of the rings on the bows, for hanging a banner, is missing, and one ring is detached. 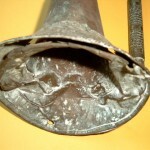 The bows are dented and distorted. 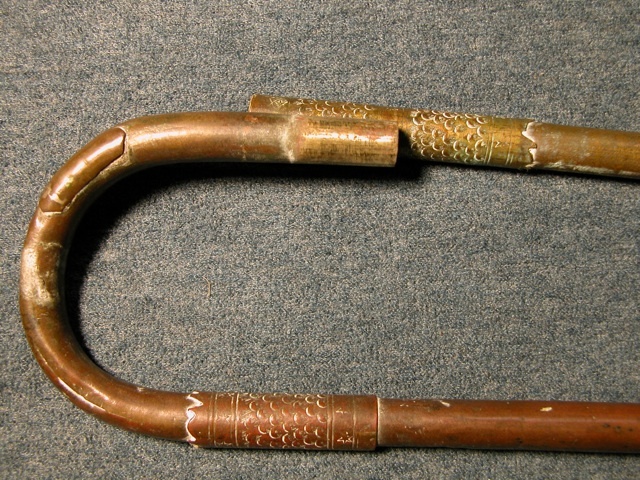 This deteriorated condition certainly protected the trumpet from theft. 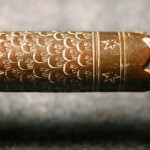 With the assistance of my esteemed colleagues Prof. Richard Seraphinoff and Markus Raquet the original was thoroughly inspected, measured, and photographed, and Richard Seraphinoff then produced a full scale workshop drawing which served as the pattern for the reproduction of the instrument. 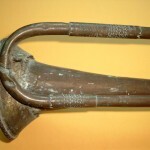 The trumpet was coated with a protective lacquer probably in the 19th century, which had turned a dark yellow to brown color with time. 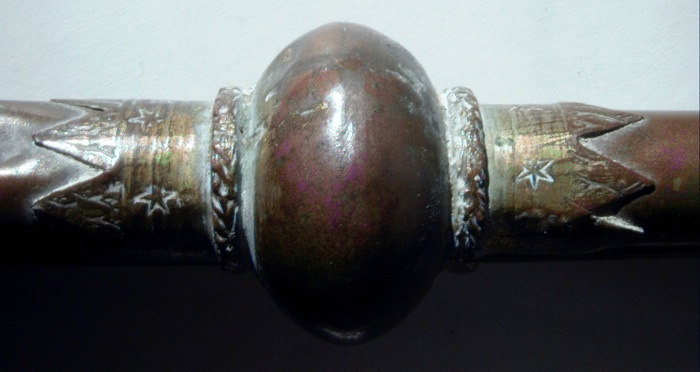 The garland, ferrules, and ball were silver plated. 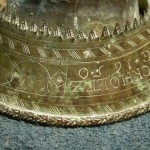 The surface of the Instrument was finished by scraping, which can be clearly seen on the protected place under the ball. 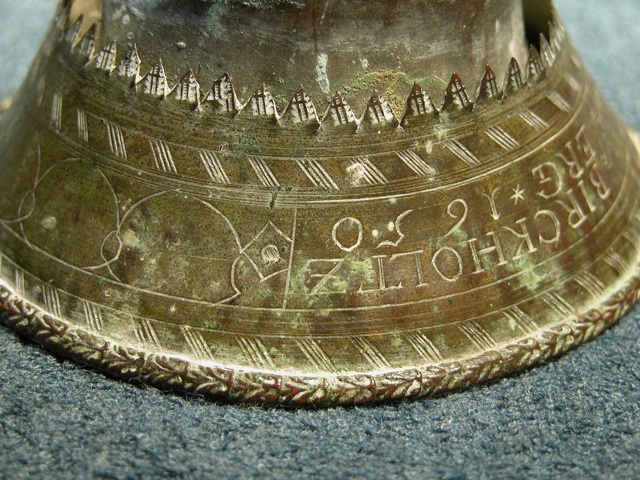 Hand engraved inscription on the bell garland. 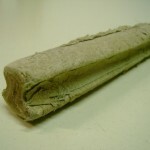 Hemp was used to make the joints between the yards and bows airtight. 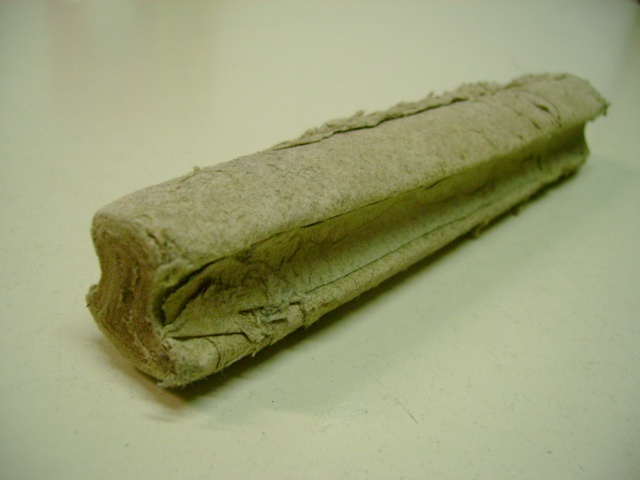 The block under the cord between the bell and yard was made of pressed paper. 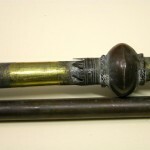 Particularly unusual is the method of construction of the ball, which was not made in the usual manner by soldering two half spheres together, but rather built up from a brass strip. 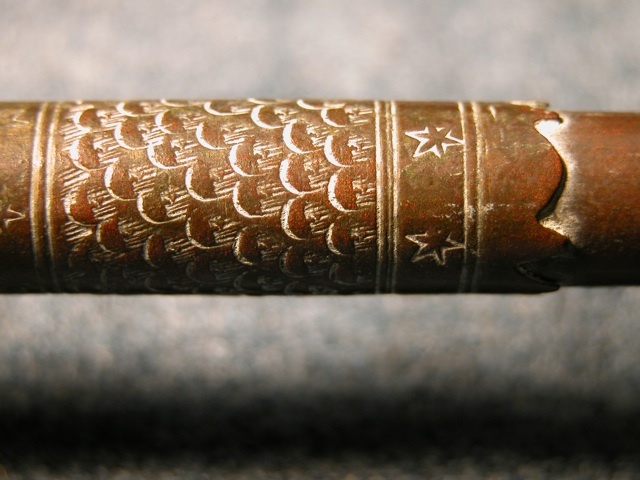 The solder joint is diagonal, and the ferrule is made in two pieces. 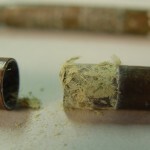 A material analysis revealed that the zinc content of the brass is 26.8%. 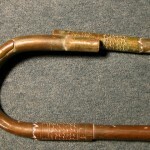 This lies exactly within the normal range of the Nürnberg sheet brass manufacturers from 1650-1750. 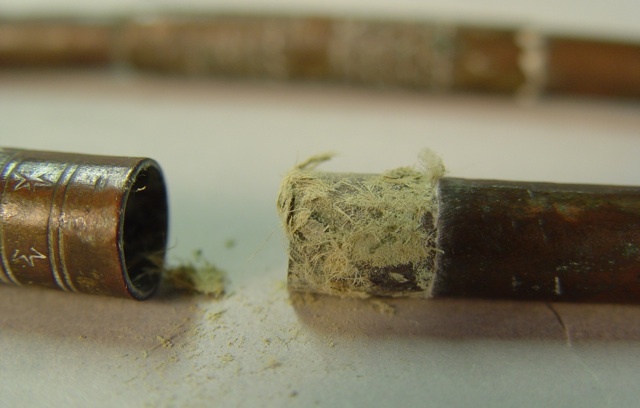 Other trace elements account for less than 0.1% of the alloy. The average material thickness is 0.4mm. The sounding pitch of the instrument is D flat (at A=440Hz). 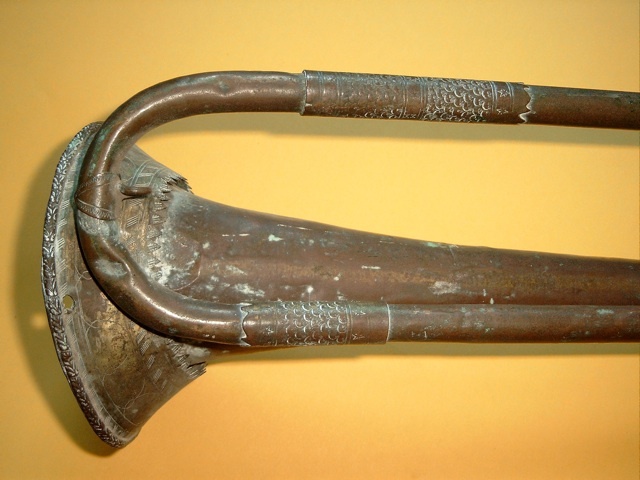 Unfortunately, the original trumpet is not playable.